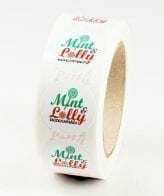 1 color roll labels are great for any kind of company who needs labels in bulk to put on products such as packaging and bottles. Multiple options can be picked, additional charges apply and for certain colors. Make sure only the options your picking shows below in wide box. 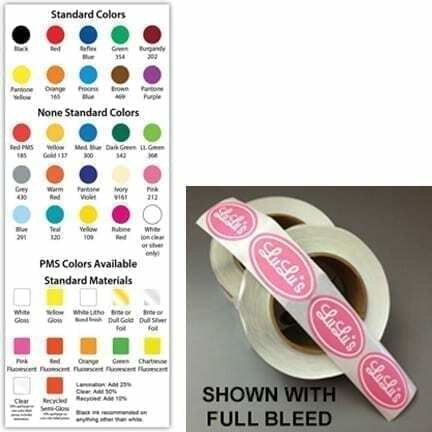 Bleed: Print to the edges of the label. Screening: any kind of shading or fades. 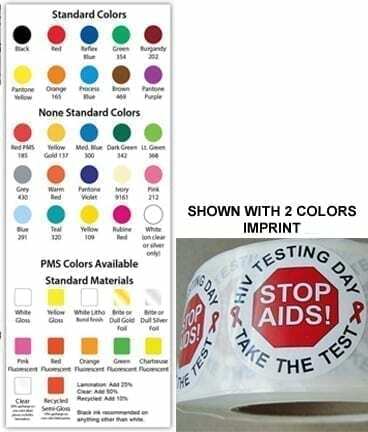 Print: 1 Color (1/0) Imprint with Standard Colors included in price. Material: Various paper options available for indoor use, made of adhesive paper. Labels available in permanent or removable adhesive except for fluorescent.